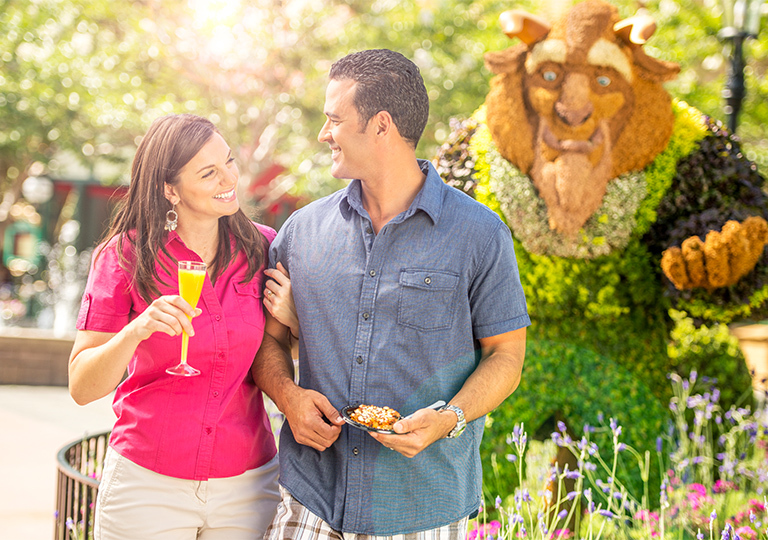 If you’re looking for inspiration for your green thumb—or just want to bask in the beauty of growing things, it’s time to plan your visit to the Epcot® International Flower & Garden Festival March 6th to June 3rd. This fabulous festival offers a harvest of don’t-miss events and activities for all ages to enjoy. Many events are included with your admission to Epcot®, but availability is limited for some so make your plans early by visiting FreshEpcot.com. This year, the popular Garden Rocks™ Concert Series at the America Gardens Theatre near the American Adventure Pavilion has expanded to seven nights per week. Check FreshEpcot.com to see which artists will be performing this year and be sure to check out the Garden Rocks Dining Package and take advantage of your Cardmember savings of 10% off your dining experience most days at select locations in Epcot® and receive a guaranteed seat for the concert.12 This is definitely one event you’ll want to reserve early. The always-popular Outdoor Kitchens return with menus that highlight spring. Plans to add three new Kitchens are underway, including one featuring citrus-inspired delicacies. Yum! Be sure to pick up the new Orange Bird Souvenir Cup. It’s only available here during the Festival. (What a cheerful way to entice the kids to drink their juice!) If sipping tea is more your thing, you’ll enjoy the Royal Tea Garden tour at the United Kingdom Pavilion. The 45-minute tour ends with—what else—tea and scones. The tour is only offered during the Festival so make those reservations! Sometimes the kids just have to run off some energy. You’ll find two new interactive play areas including the new Toy Story Garden playground at East Future World and the Healthy Living Playground by the Imagination Pavilion complete with a maze full of musical instruments. Remember Spike the Bee, the lively little Character who bugged Donald Duck in a series of 1940s and ’50s cartoons? He’s the star of a scavenger hunt called Spike’s Pollination Exploration. Purchase a map at Guest Services, spot Spike hidden throughout the World Showcase and turn the map in for a prize. This year, Cardmembers enjoy special savings on the Behind the Seeds tour at The Land Pavilion.3 A separately-ticketed event, the one-hour walking tour takes you backstage to watch the horticulturists and arborists at work and see a variety of growing methods. It’s fascinating! We never tire of seeing the intricate topiaries at the Festival. It may not be easy being green, but Kermit the Frog sure makes it look like fun. 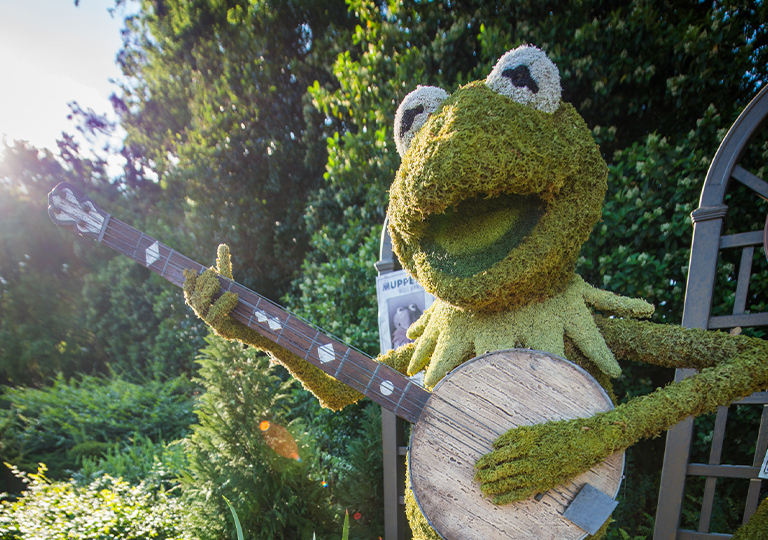 This year’s plans include Kermit riding a topiary bicycle near the French Pavilion—which we can’t wait to see!